An American woman claiming to be the ‘most modified transsexual in the world’ – has spent £40,000 to look like a dragon – complete with a forked tongue, tattooed scales and horns. The Texas lady named Eva Tiamat Medusa, said she wanted to “not to die a human” after receiving an HIV diagnosis. Nigerian Controversial blogger and journalist, Kemi Olunloyo during a recent TV interview revealed that a well-known Nigerian pastors “Adeboye” and “Oyedepe” were drug dealers before they invested in church business. Beautiful Nigerian Movie sensation, Regina Daniels shared pictures of herself eating African salad popularly called “Abacha”, which she purchased on the road side somewhere in Asaba, Delta State. A divorce-seeking woman, Funke Adeyemi, on Wednesday told an Idi-Ogungun Customary Court, Agodi,Ibadan, that her husband, Wasiu Adeyemi, abandoned home because of N24,000 unpaid house rent on their apartment.The 29-year-old woman said that her husband of 12 years ran away from their home when the landlord demanded payment of the outstanding House rent, leaving her and their three children. At least 10 people were killed and 15 others were injured in a train crash on Wednesday in Egypt’s northern province of Beheira as confirmed by the health ministry. 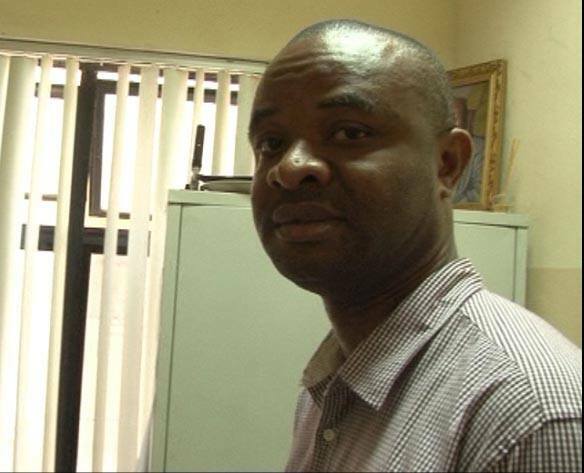 A Nigerian businessman has found himself in serious trouble after his $200,000 was forfeited to the Federal Government. The UN on Wednesday said six aid workers were killed this week in an attack in the Central African Republic. 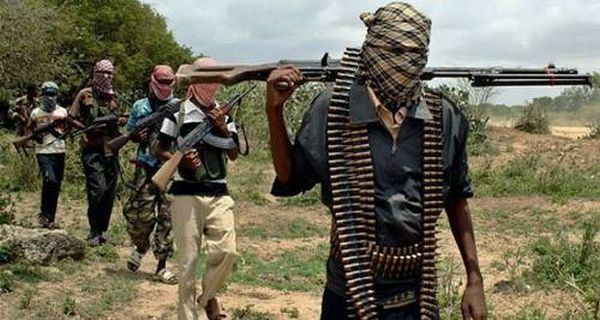 The attack took place on Monday as the group was traveling to the northeastern town of Markounda, located in a remote region near the Chadian border. A video clip which captures a mortuary attendant, fondling corpses of Ghanaian singer, Ebony Reigns and her friend, Franky Kuri, has sparked public outrage. In the video footage, The attendant who is believed to be the head of the Bechem Government Hospital Mortuary was seen holding the head of Kuri while staring at her concurrently. Popular comedian Owen Gee has opened up on his battle with depression. According to the funny man, he almost took his own life last year. 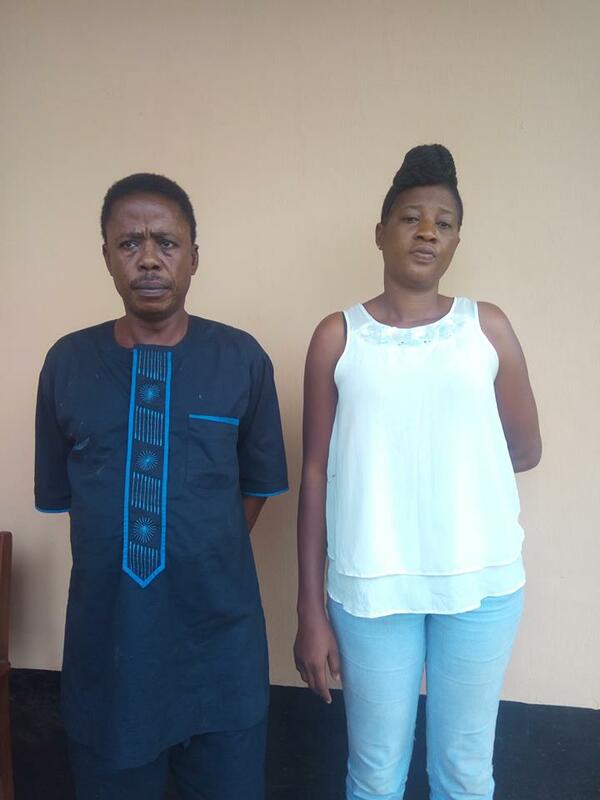 It is the end of the road for two suspected money swindlers after they were arrested and arraigned by security operatives. Father of late Dancehall artiste, Ebony, has disclosed the intention to take legal action against the hospital where a morgue attendant took a video of his daughter’s corpse. A South African lady, Amanda Cwazibe who was abused for 4 years by her husband, took to social media to expose her husband. According to Cwazibe, she suffered for 4 years but stayed silent because she wanted her child to live in a two-parent home. Nigerian versatile actor, Adeniyi Johnson whose childless marriage with industry colleague Toyin Aimakhu (Toyin Abraham) ended abruptly appears to have found love again. A new piece of bone grown in a lab was successfully implanted into a man’s broken shin, Israeli doctors have announced, in what they said was the first operation of its kind. Nigerian singer Davido in an interview with GOAL TV as of recent spoke about a possible collaboration with Real Madrid Star, Cristiano Ronaldo, Nigeria’s chances in Russia World Cup, How he became friends with Victor Moses and more. 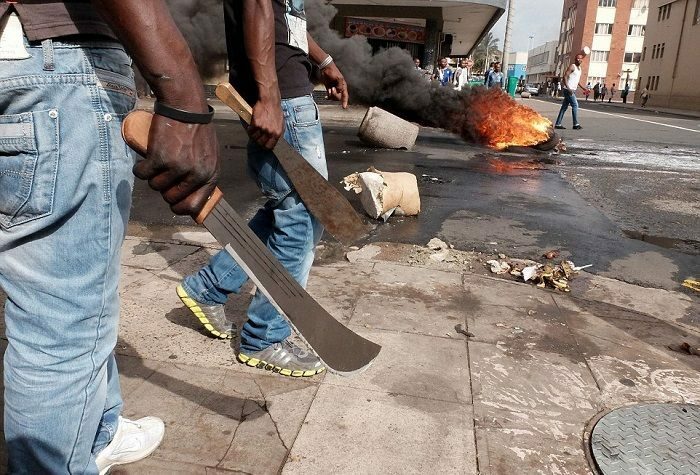 There was pandemonium in the Akala and Idi-Oro areas of Mushin, Lagos State, on Tuesday when some hoodlums clashed with policemen from the Area D Command. The remains of a 20-year-old Imo State footballer, Chidubem Ezeagu, has been found in a shallow grave in a bush. The body was discovered one week after he was declared missing by his family. 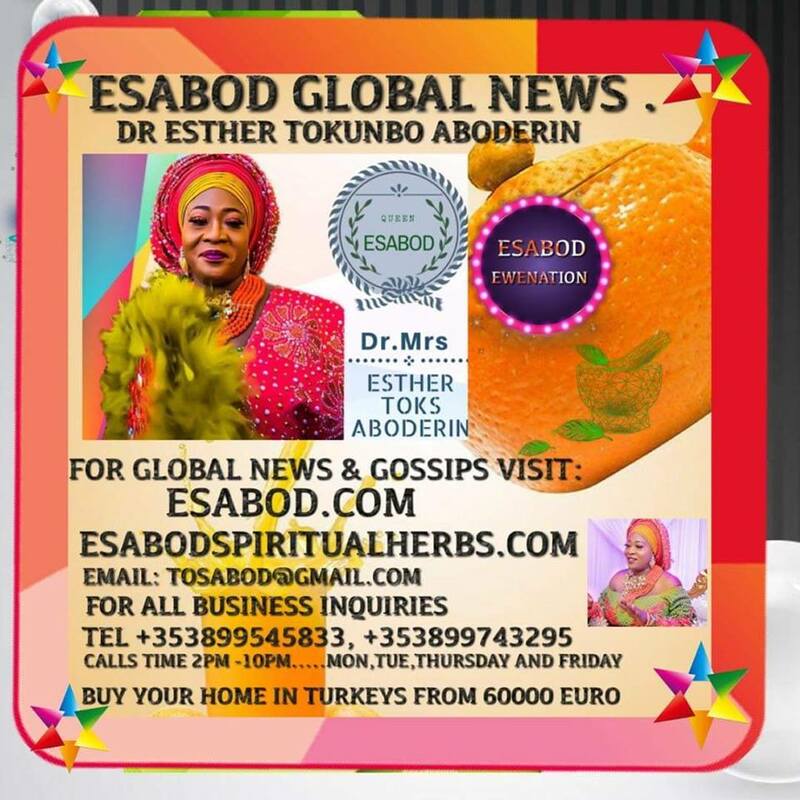 has admitted owing the Nigerian government $202,000, being part of the money meant for Nigerian students on scholarship, but mishandled by the university. The University was sued by the thirty six Nigerian students in the school two years ago accusing it of either misusing or mishandling $800,000 meant for them and on Monday, the Nigerian government joined as a plaintiff in the suit.The university admitted on Tuesday that it was indeed owing the Nigerians some money, according alabamanews.net. A 15-year-old pupil, Idris, has been arrested by the police in Lagos for allegedly belonging to the Aiye Confraternity. One of Nigeria’s top financial institutions, First Bank of Nigeria Limited has reacted to the recent trend of animal swallowing public funds in Nigeria. The reportage of snake swallowing N36m at a JAMB Office and a monkey eating another N70m instead of Banana took a viral dimension with Nigerians extending it to almost every aspect of national and personal lives. 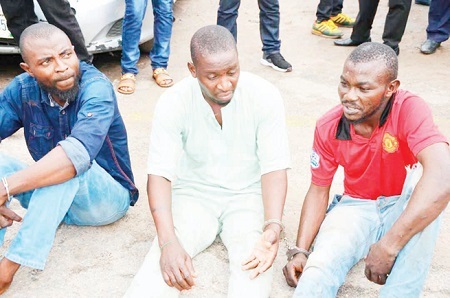 Three suspected cultists have been arrested by the police after they reportedly killed an official of the Lagos Neighbourhood Safety Corps (LNSC), Bolaji Monsuru. Some dreaded scammers who issued fake customs recruitment letters have been nabbed in Calabar by security operatives. Governor David Umahi has banned open grazing in the entire Ivo Local Government Area after herdsmen attacked villagers in the state. 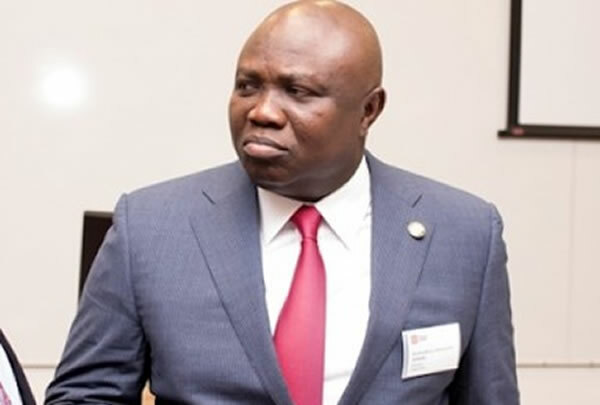 Lagos State Government on Tuesday, February 2018, said that it would have trained one million residents on coding by 2030 to make them to compete favorable for employments globally. The Catholic Bishop of Kafanchan Diocese, Most Rev. Dr Joseph Danlami Bagobiri is dead. Big Brother Naija 2018 housemate, Cee-c, has said she couldn’t believe seeing herself easily put up for eviction by her former strategic partner, Tobi. Becoming the Head of House, HoH, for the third time, Tobi had the power to save a pair of partners from eviction while replacing them with another pair. Vice President’s wife, Dolapo Osinbajo and Governor Rauf Aregbesola of Osun State have called on Nigerians to pray for the safe return of the 110 girls abducted by Boko Haram insurgents from Government Girls Science and Technical College, Dapchi, Yobe State, last Monday. A robbery suspect is not shying away from his crimes and he even justifies it by saying, since his rulers partake in it, he also would and he won’t stop. 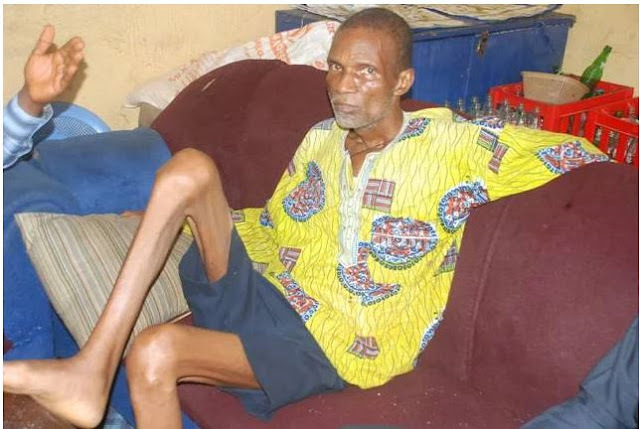 Mr. Richard Igie who is battling with disease associated with “kidney failure” and “prostrate cancer” has sent an SOS to the Delta State Governmen. Big Brother Naija evicted housemate Bitto, who was in the news few weeks ago for having an erection while comforting Nina, while she was confiding in him about her boyfriend and fellow housemate, Miracle, has debunked the report.According to Bitto who shared throwback photos on his Instagram page, there’s a clear divide between a bulge and a hard on. From time to time, music fans get mischeivous and do crazy things to their idols online. This time around, Davido has become the victim of such pranks. Nigerian urban highlife singer,Adekunle Gold, just released the video for his hit single ‘Ire’ and it is getting us teary already with the “For Busayo“, engraved boldly at the end of the video. Media personality, Toke Makinwa has used a photo of herself wearing an over-sized top to describe her kind of man. Two people who are reported to be Christians have been flogged publicly in Indonesia for playing children’s video game. 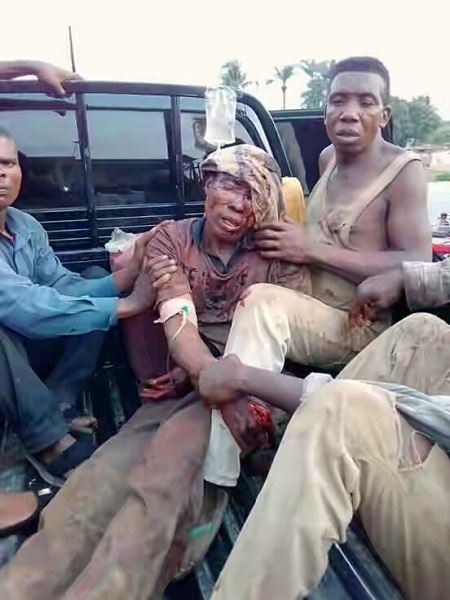 They were flogged alongside other people including a couple that was caught flirting in public. The offenders were caught on different occasions and sentenced to public flogging in the Aceh Province of the Islamic country.Hundreds of onlookers jeered and took photos as the accused, who were deemed to have violated strict Islamic law, were beaten outside a mosque on Tuesday. Nollywood actor, Williams Uche Mba, who is now based in the U.S took to his Instagram page to share photos of his newly acquired house and he went ahead to thank God for his faithfulness upon his life. Media personality, Uche Maduagwu took to his social space to pray for Nollywood actress, Rita Dominic over what seems to be her lack of finding a man to marry her. It is no hidden secret that the duo of Davido and Wizkid are the two most compared artistes in Nigeria, we all have been testament to that. Daddy Freeze has attacked a pastor of the Redeemed Christian Church of God, RCCG, for asking members of the church during a cross over service to buy comb and comb their hair forward and not backward. Few hours after reality show star,Kim Kardashian showed off baby Chicago’s face Khloe Kardashian is already making headlines with her birthing plan.On Sunday’s Keeping Up With the Kardashians, Khloe Kardashian said she will be eating her own placenta like Kim did, after she gave birth to both daughter North and son Saint. It has been widely reported that the wedding of the daughter of the richest man in Africa, Alhaji Dangote Alhaki to the son of the former Inspector General of Police, Jamil Abubakar will hold in March. And information coming from the family of the bride indicates that the father will not allow the consumption of alcohol at the wedding. A Nigerian woman identified as @mummyneyi on Instagram took to the platform to share this heartwarming letter her only son wrote to God. In the letter, the little boy asked God to bless his mother with another baby and help her business prosper. Nigerian comedian Segun Dangote has shared the shocking story of how his wife escaped being bitten by a snake in their home. He said his wife woke in the middle of the night to use the toilet but there inside the water closet (WC) was a snake ready to attack. They flushed the toilet after which they didn't see the snake but to their shock, two days later, they found the snake hiding under the toilet seat. “I swear dem go pay” – Davido Vows To Deal With Thugs Who Assaulted Zlatan Ibile Over Segun Wire. 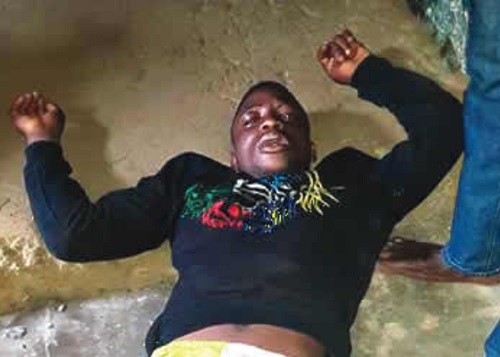 Fast rising Nigerian rapper, Zlatan Ibile, who has been the one catering for viral online sensation, Segun Wire was inhumanly manhandled yesterday, allegedly by the family of the lad. The daughter of Bill Cosby, Ensa Cosby is dead. She passed away on Friday night at the age of 44. 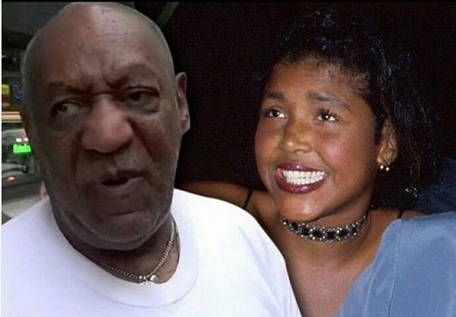 TMZ reports that Ensa Cosby died in Massachusetts, where the family has a large estate. Nigerian Army troops of Sector 1 Sub-Sector A, deployed at Yelwata while on routine patrol arrested 10 herdsmen destroying farmlands at Tse-Tigir and Tse-Ndugh villages in Benus.The effort of the Nigerian Army to fish out criminals and protect farmlands in Benue State and it environ in the ongoing Exercise Ayem Akpatuma is yielding tremendous result as troops of Sector 1 Sub-Sector A, deployed at Yelwata, while on routine patrol arrested 10 herdsmen destroying farmland at Tse-Tigir and Tse-Ndugh villages on Monday. Nigerian Indigenous rapper,Olamide, was dragged into a near fight incident by an aggrieved lady who wasn’t pleased with the way his concert in Germany turned out.The lady stormed Olamide's hotel room in Germany to express her feelings, calling her coward for performing for just 20minutes at his concert. Following the kidnap and murder of Honourable Hosea Ibi, a member of Taraba State House of Assembly, alongside Mr. Chidiebere who was later released after a ransom was paid, three suspects have been arrested by Troops of 23 Bde deployed Wukari on EX AYEM AKPATUMA and a team of Department of State Service from Jalingo. Check out these lovely photos from the wedding ceremony of a Delta State Vigilante member and his ‘Oyinbo’ wife. Congratulations are in order for Paul Esusu Ighomitedo from Delta state who tied the knot to his white lady from the United Kingdom. 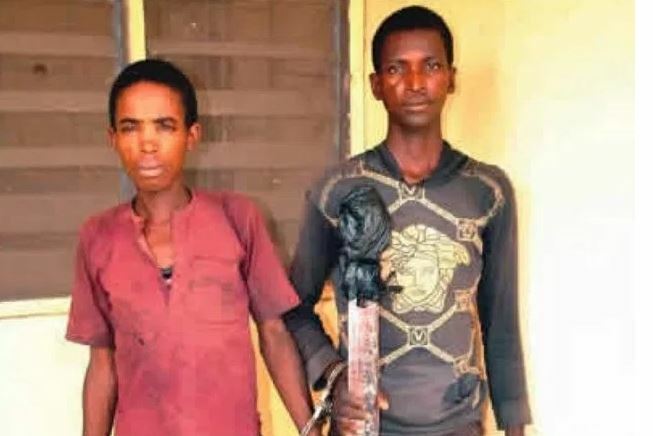 Following the kidnap and murder of Honourable Hosea Ibi , a member of Taraba State House of Assembly, alongside Mr. Chidiebere who was later released after a ransom was paid, three suspects have been arrested by Troops of 23 Bde deployed Wukari on EX AYEM AKPATUMA and a team of Department of State Service from Jalingo. 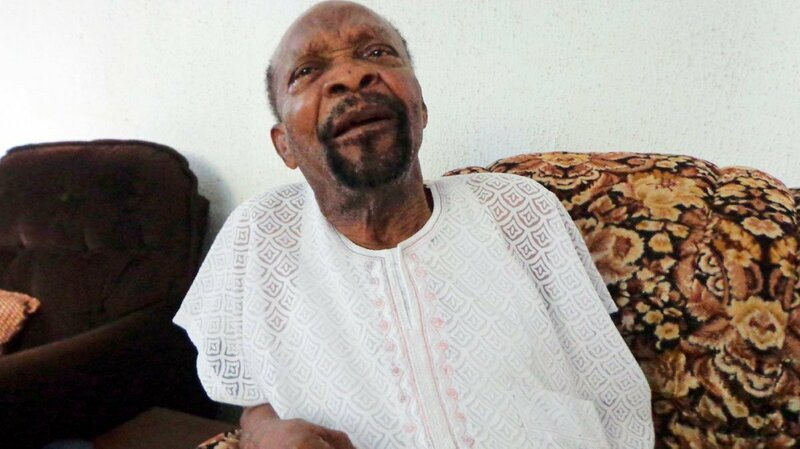 Ex-Briafan solder, Joseph Achuzie, and a Nigerian civil war veteran is dead. He died on Monday at the Federal Medical Centre (FMC), Asaba, Delta State at the age of 90. Big Brother Naija housemate,Tobi shocked many when he put up his former partner and love interest ,Cee C up for possible eviction . Nollywood actress, Damilola Adegbite took to her instagram page to lament over her buttocks. According to her, her derriere is getting bigger despite the fact that she is on diet. Two stowaways died after falling off a New York-bound plane that recently took off from an airport in Ecuador early Monday. 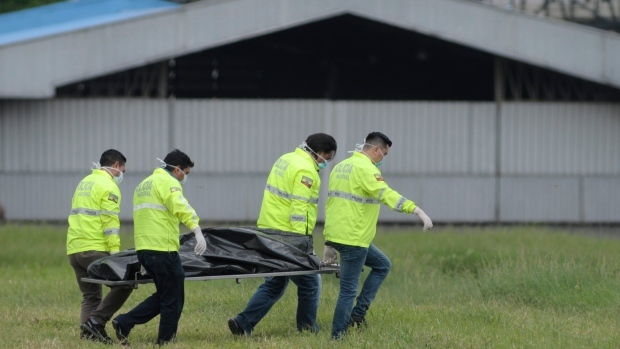 The victims fell from the plane’s landing gear after taking off from José Joaquín de Olmedo International Airport at 9 a.m. in Guayaquil. Even with her loss and the grief she is feeling from it, Actress Eucharia Anunobi is trying to move on with her life and she is finding solace in God. The actress recently graduated from the Redeemed Christian Church of God (RCCG) School of Disciples and she very happy to be able to do something with her life even in her trying times. 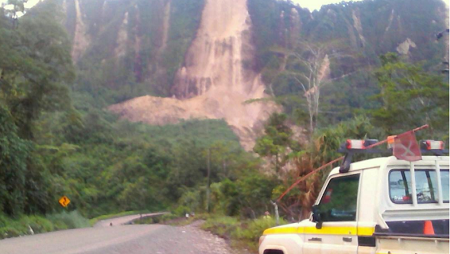 Up to 14 people were killed in landslides and by collapsed buildings during a powerful earthquake in the remote Papua New Guinea highlands, police and a hospital worker said this morning, with unconfirmed reports of up to 30 people killed. 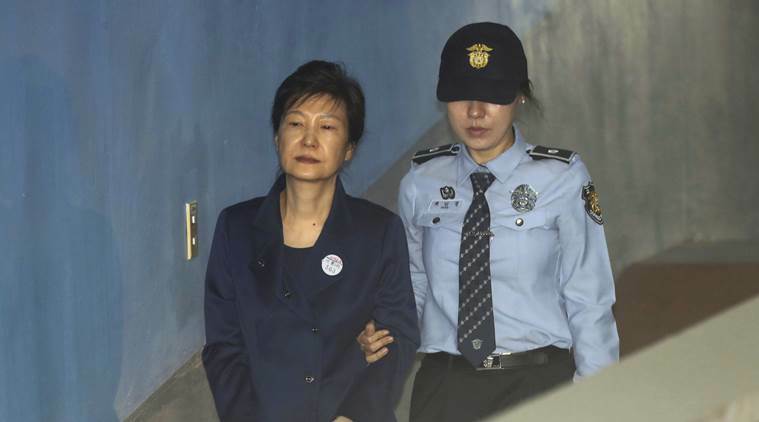 South Korean prosecutors on Tuesday sought a 30-year jail term for former President Park Geun-hye who was ousted last year amid an influence-peddling scandal as supporters braved the winter cold outside the Seoul court demanding her immediate release. A man has sent his wife and his 10-year old daughter out f his house, saying it's her fault that she has been unable to bore him a son and brought in a new wife. 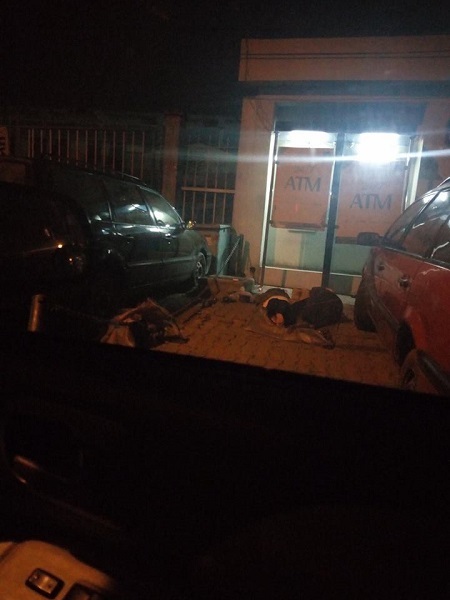 According to the woman, he sent them out in the middle of the night and she has been sleeping in front of a bank at Anthony bus stop. She wants to relocate back to her state, Imo State but presently have no money or even a place to live in Imo State. Yesterday, Morocco’s King Mohammed VI underwent a successful heart surgery in France, state news agency MAP said. Actress Mercy Aigbe is known for her beauty and class but now she will be known for her generosity as she financially supports a bread seller to help grow her business. The bread seller, who goes by Omoge Abisoye on Instagram shared a post about how she is proud to be a bread seller and why her kind of job is important too. Mr Abdulmumin Yusuf, who lives at Unguwar IN Azare Town, Bauchi state has named his baby boy after President Buhari.